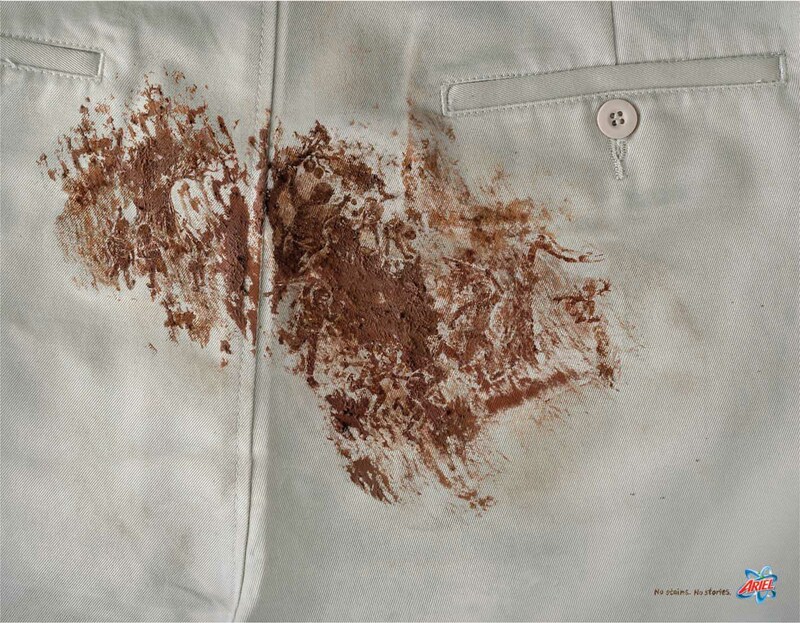 Ariel washing powder is shown here as the way to remove evidence of events that could lead to embarrassment or trouble. 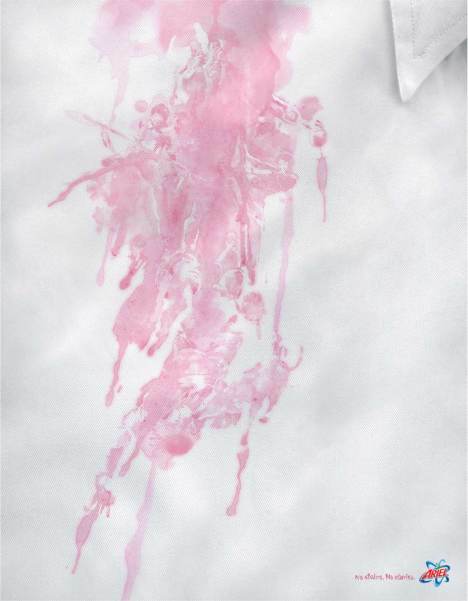 “No Stains means no stories.” Click on the lipstick, mud and wine stain pictures for a closer look at the stories behind the stains. The No Stains No Stories campaign was developed at Saatchi & Saatchi Mumbai, by executive creative directors Ramesh Ramanathan, Andy Greenaway and Joel Clement, creative directors Juju Basu and Hanoz Mogrelia, art director Sandeep Poyekar, copywriter Amit Acharekar, agency producer Prabhakar Bolar, and photographer Raju Shukla.